Our next communication is Tuesday April 14, 2015. We are proud to feature three different programs that are always very popular in past years. 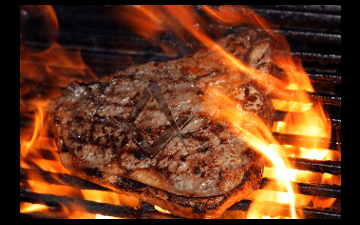 This communication you will dine an a delicious steak dinner while enjoying the Brotherhood of Freemasonry. Then enjoy the fun and laughter while we analyze each other’s “Bad Ties”. Finish the evening while relaxing with desert and a little “Trash to Treasure” auction. We will first enjoy each others Fellowship and Brotherhood over a perfectly cooked Steak Dinner. The steak dinners are always a big hit, mostly due to the outstanding barbecue talents of Bro. John E. Sides include; salad, potatoes, corn on the cob (If available) and desert to follow Closing of the Lodge. Please bring a big appetite and your usual wit. There is plenty of room for everyone, especially those who have not had the opportunity to join us in many week, months, or even years. Please fill out this form to let us know you are coming. CLICK HERE We do not want to run out of steaks. Another popular and always lots of fun event is our annual “Bad Tie Night”. It will be tough to beat last years bad tie winner Bro. Mike T. which, as I remember, used toilet paper as part of his “Bad Tie” creation. 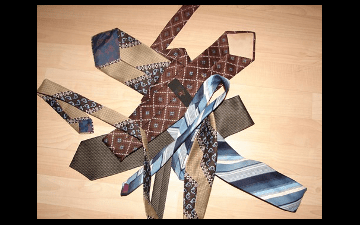 While some like to wear their “Bad Ties” every second and fourth Tuesday of the month, others choose to save the worst for one night a year. Dig deep on those drawers, behind the ugly socks and drag out your worse or best Bad Tie! Tie that around your neck as only a Mason can and flaunt your bad taste around the lodge while we all judge each other’s bad taste. 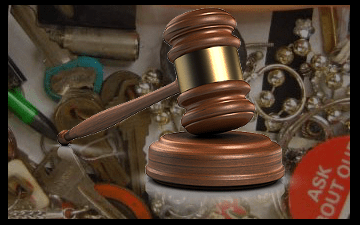 Rounding out our trifecta of Masonic fun is the long-awaited, never imitated, often avoided, “One Man’s Trash Is Another Man’s Treasure Auction”! Please rummage through your basements, attics, and tool sheds to find those treasures you are willing to part with and bring them to the lodge. Word has it that we already have some really nice and fun items waiting to go home to the highest bidders. I can be available on the weekend if anyone wants to drop off their Trash Treasures before Tuesday’s communication. Give me a call and we can arrange meeting. Wor:. Breth is so excited he was planning to go to lodge this past Tuesday!! You know Secretaries, they never get enough. Dress – normal lodge attire. Bad Tie required. Dinner – Steak cookout, salad, potato, corn on the cob (if available), and dessert. On April 28, 2015 we are raising our new Brothers to the Third Degree. As you remember from your Raising it is very important to have as many Brothers attend. The events of the evening go much smoother with many taking part and we owe it to our new Brothers to be there for them. PLEASE make every effort to attend not only this Raising but every Lodge communication. We are Brothers and we want to enjoy the few hours we have together each month.